A hiking path through nature, going from beathtaking woods to desert lavic landscape, where you will admire poplars, beeches, birches, chestnuts, oaks and pine trees from the south and the south east face of Etna. 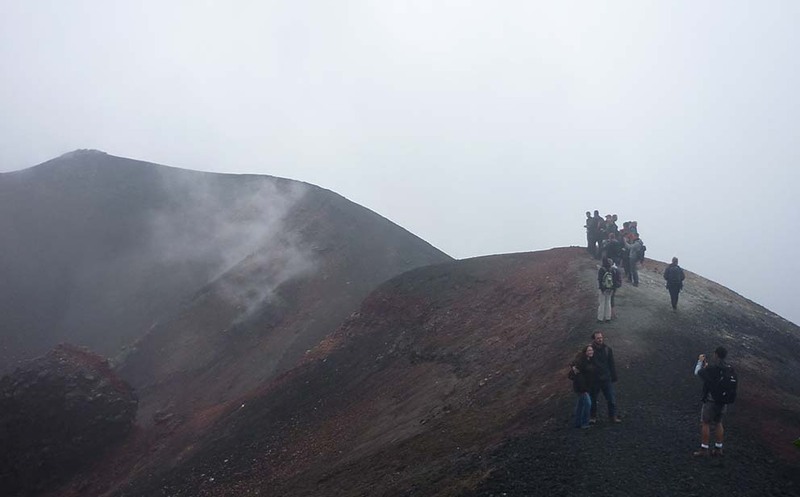 During the walk it will be possible to see some of the typical fauna of the volcano as well, just like buzzards, hawks, eagles, foxes, wild rabbits and much more. The cost includes: Private Suv (return), multilingual guide, trekking shoes (only on request), the kit for visiting the cave. From Rifugio Sapienza you can take the cableway (2.500 m) or the cableway + jeep (3.000 m) to reach the top of the mountain.